Set a Group as the source for the featured content ribbon by choosing My Organization > Edit Settings and selecting the Home Page tab. Groups offer a way to organize items for wider access and are also used as building blocks for your organization home page. They can be used in easily configured gallery template applications and embedded in websites and blogs. As items are added or removed from a group, the corresponding gallery apps or embedded galleries will automatically reflect the updated group content. Here are a few ways you can use groups to deliver access to maps and apps. 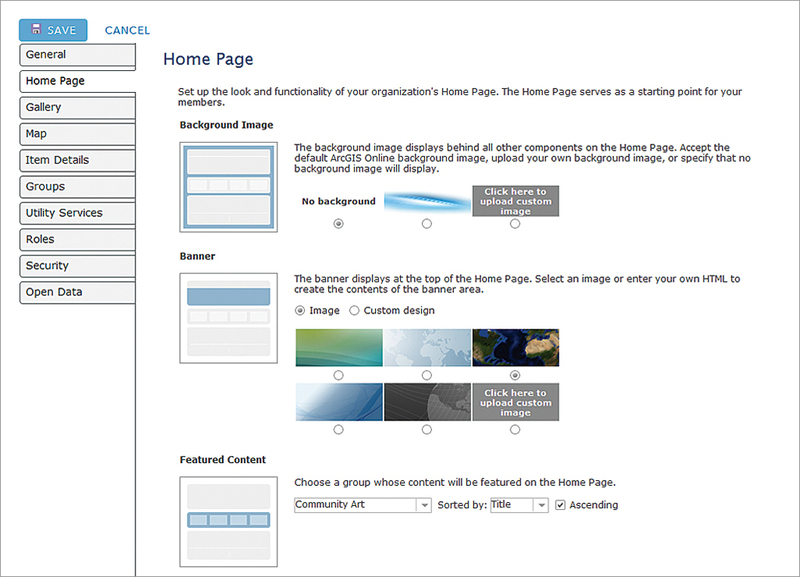 Organization administrators use groups to populate the organization’s home site featured content ribbon and the organization’s gallery. These are set by choosing MY ORGANIZATION > EDIT SETTINGS, selecting theAv Home Page tab, and then choosing the group to use for Featured Content. Gallery contents are set by selecting the Gallery tab, then choosing the group to populate the organization Gallery. As an administrator, you can use Groups to populate the featured content ribbon and gallery for your organization's home site on ArcGIS Online. 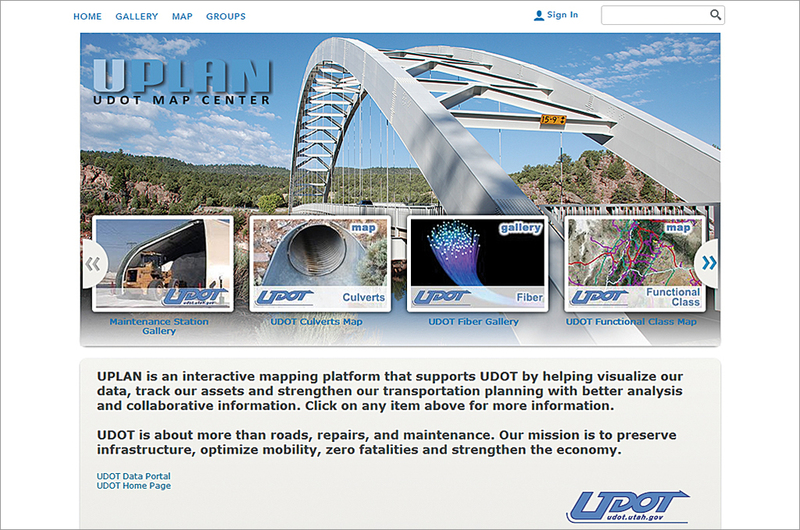 The Utah Department of Transportation UPLAN site does this. Open the group, click SHARE, then use the shortcut URL link. The group gallery template application is an easy way to quickly create a searchable gallery of maps and apps. It can be used for both internal (within your organization) or public access needs. To use the gallery app, click SHARE, then MAKE A GALLERY APPLICATION. 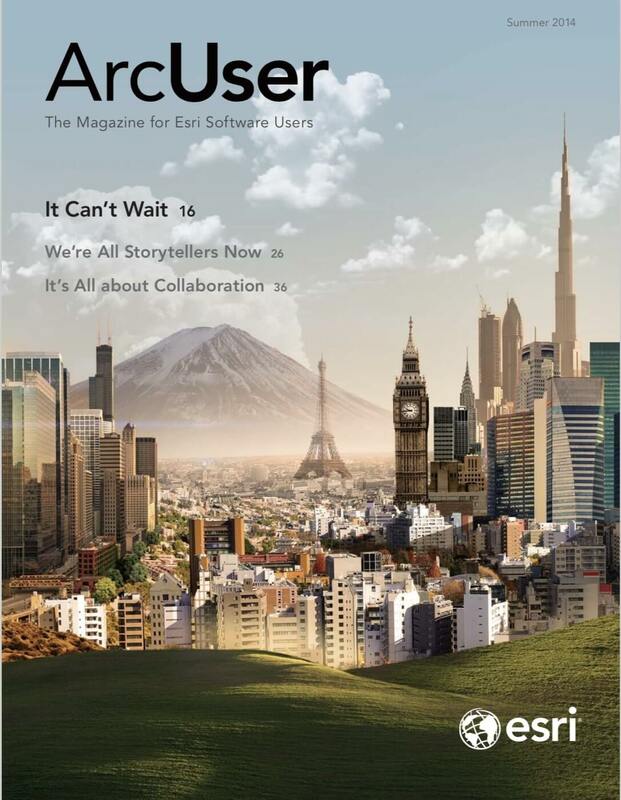 Choose Publish to create a new application item. Provide a name, description, and tags. Save and configure the gallery application using the configuration panel. Once completed, share the application with your organization or with everyone. Remember that only publicly shared items in the Group will be visible outside the organization. Set a Group as the source for a gallery by choosing My Organization > Edit Settings and selecting the Gallery Page tab. The first step in sharing a Group, making a Group gallery app, or embedding a Group gallery is to open the Group and click the SHARE link on the far right side. Embedding a Group using a gallery ribbon is even simpler than making a gallery app. From your Group, click SHARE, then EMBED IN WEBSITE. Next, choose the layout style you want and options for displaying web maps. Copy and paste the HTML into your website or blog. 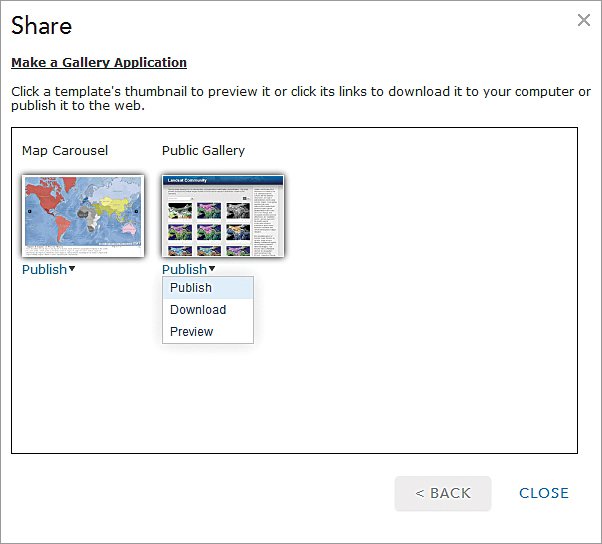 From the Share dialog box, click MAKE A GALLERY APPLICATION to make a group gallery into an app, then choose Publish from the drop-down under Public Gallery. After choosing MAKE A GALLERY APPLICATION, click CONFIGURE APP to modify the banner, logo, and other features of the gallery app, then copy and paste the HTML into your website. 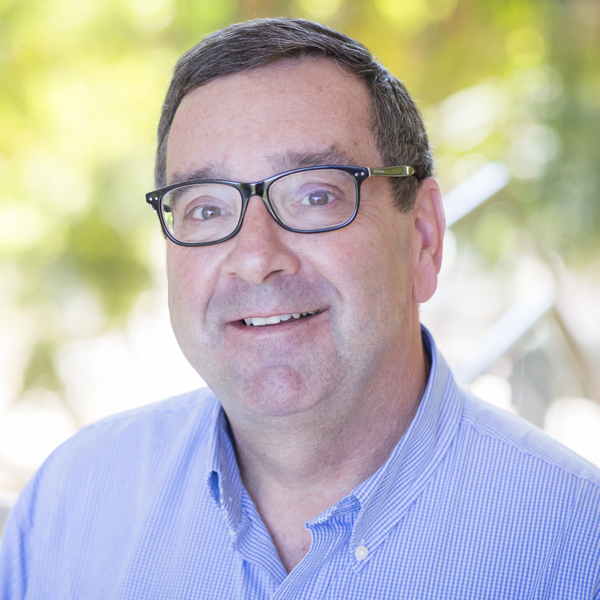 For more information, visit the ArcGIS Online section of the ArcGIS blog.